I am doing a sock KnitALong to get my sock knitting mojo going. 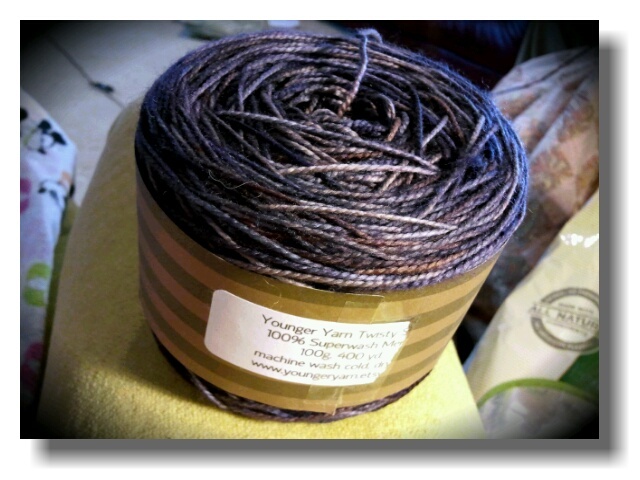 Younger Yarn Twisty String in Kissing Jordan in the Dark. Pretty yarn! That should get your mojo going in no time.